There have always been different camps in royal watching: Elizabeth vs. Margaret, Mary vs. Letizia, Diana vs. Fergie, and you could go on, and on, and on, and on. Some of them with a hint of truth to them, others imagined. However, the fans of the Duchesses of Cambridge and Sussex have brought things to a whole new level, probably fuelled by today's general state of the (social) media. In fact, I'm sure that there is someone out there who is fuming that I mentioned Meghan first in the headline... And how can I call her Kate?.. She's Catherine now, the future Queen!... But hey, she's lazy and Meghan is so much better... She was a successful woman in her own right... But she is American and no princess material, Kate is so poised and never put a foot wrong... She's stuck up coming from a rich family... And Meghan was married before!.. But Kate never had a career!... Don't start me on Meghan's family!.. You get the gist, it's a right royal kindergarten. Frankly, I am non of those royal watchers. To tell you the truth, I am even sometimes embarrassed to call myself one. Not because I am ashamed of my interest but because of the association. I don't want to put all new royal watchers into the same pigeonhole but I feel like I come from a different generation. And yes, that makes me sound terribly old and perhaps stuck up (but I will live with that). Of course there have always been different fractions. I have said before and I will say it again: I have always felt too negative for the pro-royal sites and too positive for the anti-royal sites. I am somewhere in between and most of all: I'm not a fan, not of any royal. Not even those who I have written a freaking blog about for almost ten years. I like most of them, but I have also never been afraid to share my opinion about them. Because being critical means just that: Being critical. I can like someone but not be in awe of every single thing they do. 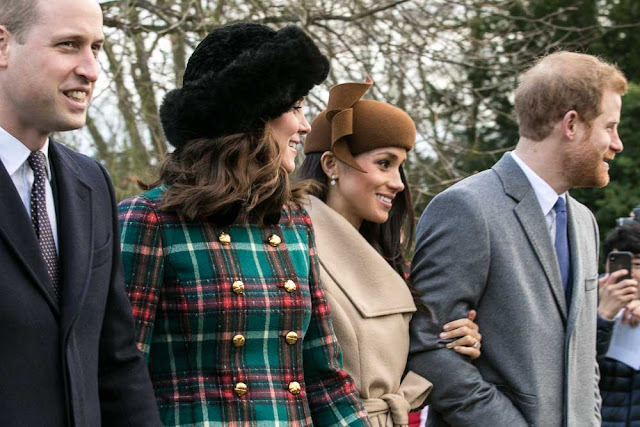 There can be things they do that I disagree with, and living in a free society I - and everyone around me - has the right to share their opinions even if they are critical of a royal's actions. If you don't like that, feel free to move to Saudi Arabia or Thailand, they have wonderful laws about that. Everyone is entitled to have and to give an opinion, as long as it is done respectfully. Respect being the keyword here: So just because you can, you shouldn't just say anything you can. Behind every royal and royal watcher, there is person. What you wouldn't want to say to a person to their face, you shouldn't write while hiding behind your screen. At the same time, when don't actually know the royals. Yes, there is a sense of familiarity because we have seen many of them for many years, maybe even seen them grow up right in front of our eyes, but that still doesn't mean we actually know them. We like to project dreams and hopes on royals, the perfect anything. But the truth is, there are neither fault- nor flawless. In the end, they are mere mortals. Born or married into something larger than themselves. Just like all of us, they will end up making bad decisions at one point in time or the other. The Queen made bad decisions in her life, the Duke of Edinburgh did, all members of the royal family did - and they were all criticised for it. Royalty didn't start with either Kate or Meghan. It has been here long before they came along and it will be here long after they are gone. (Pssst, royalty ≠ monarchy because I do not have a crystal ball.) And while we are at the (un)equals thing: Criticism of a royal's actions ≠ criticism of a royal as a person. Lazy, aloof, demanding - that's just some of the things I have read as descriptions of Meghan and Kate. But while I would always criticise actions of theirs or other royals I do not agree with, I would never call into question a character. Because we do not know their true character, only their families and friend do. And if your last resort is to tear down the character of a person you have never met or call them derogatory terms, whether that person is a royal or a royal watcher, the reflection should start with yourself. If you need to put someone else's character down to make yourself feel better or cement your position, it shows more about yourself than anyone else.